Kevin Bergman, MD is a board-certified family physician who is passionate about global health and point-of-care ultrasound. He is co-director the Contra Costa Family Medicine Residency’s global health and ultrasound programs and is also a full-time provider in the Emergency Department at the Contra Costa Regional Medical Center. 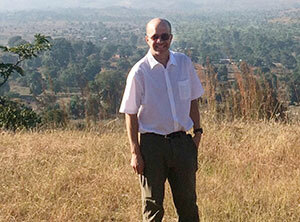 Kevin co-founded World Altering Medicine, which provides medical and surgical care to rural patients in Malawi. His work in hospitals in the developing world with medical database publisher Micromedex helped inspire his career switch from business to medicine. A graduate of Duke University, George Washington University Medical Center, the Santa Rosa Community Family Medicine Program, the University of Tennessee Jackson Emergency Medicine Fellowship, and the Ultrasound Leadership Academy Ultrasound Fellowship, Dr. Bergman is committed to providing sustainable, ethical medical care to the world’s vulnerable populations and teaching ultrasound to the next generation of physicians. He has volunteered in hospitals in India, Somaliland, Ghana, Guatemala, Swaziland and Thailand, and has been returning to Malawi each year since his first visit in 2002. Kevin is married with a 2-year-old daughter. 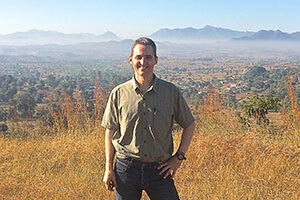 Inspired by the late Mark Stinson MD, a global health champion at Contra Costa with over 20 years experience, Neil spearheaded the creation and development of the Global Health Fellowship and Ultrasound Program in 2010. Due to the success of the program, Kevin Bergman became co-director in 2015. Neil is a core faculty member of the residency leadership group. He finished his Family Medicine residency training at Contra Costa in 1997. He initially did full spectrum family medicine for five years. He has since worked full time as an emergency physician in Contra Costa Regional Medical Center's Emergency Department. In addition to working in long-term global health programs, he also enjoys providing disaster medical care in austere environments both nationally and internationally and is a physician member of DMAT, FEMA Urban Search & Rescue, Contra Costa MRC and Relief International. Neil believes in global heath care that builds local capacity and sustainability (read the Chinese poem/quotation by Lao Tsu titled "Go to the People"). Past experience includes work in India, Kenya, South Sudan, Sri Lanka, Haiti and Malawi.